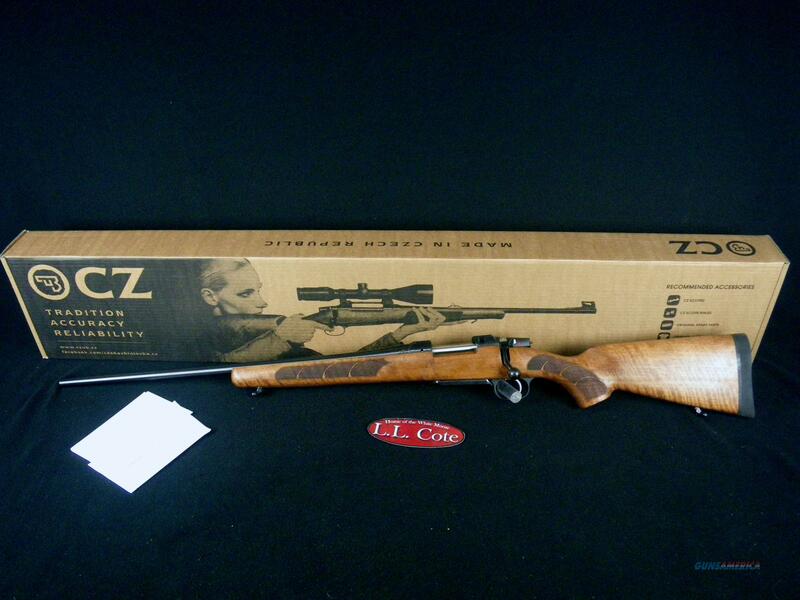 Description: You are bidding on a CZ 557 Left Hand in 308win with a 24" barrel. CZ fans afflicted with wrong-handedness have long asked for a centerfire offering in the medium game chamberings. Finally we have the answer in the form of the 557 Left-Hand and Left-Hand Short Action. Built on the same CNCed action as the standard 557, the Left-Hand wears the handy, American-pattern stock of the Sporter but with a 24” barrel to help squeeze a bit more energy out of the 30-06 and 308 chamberings. The cold hammer forged and lapped barrel coupled to our tried-and-true 557 push-fed action mean this rifle will cut very respectable groups. Displayed images are stock photos. Any questions please feel free to ask (our phone number is in the additional information tab above).